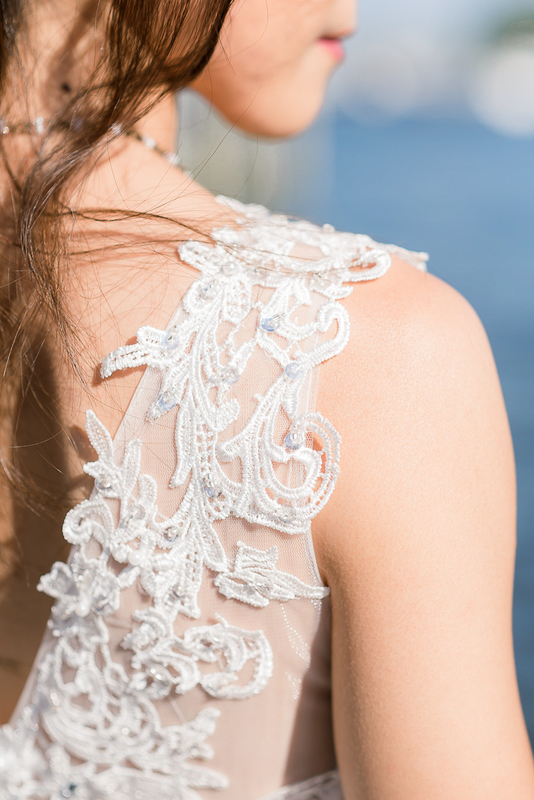 I’ve been secretly longing to photograph an intimate wedding for a while. Not that I don’t like bigger wedding or anything, I just love the idea of celebrating the love between two people at a more intimate setting, with those who have witnessed the growth of them as individuals and as a couple. 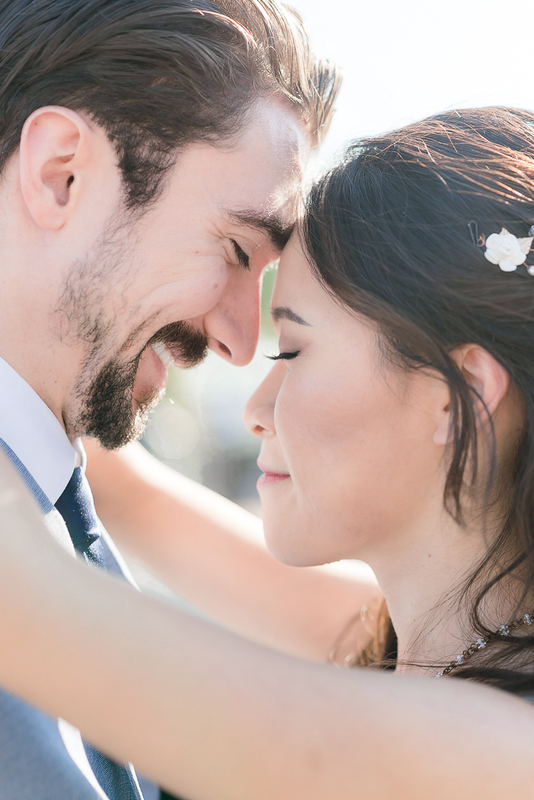 So when Michelle and Aaron first met with me to talk about their intimate wedding with their immediate family, I squealed in my head and was counting down the days for their wedding day to come! Some of you might have even seen their fun engagement session at Larriland Farm! It was a beautiful afternoon in Annapolis. 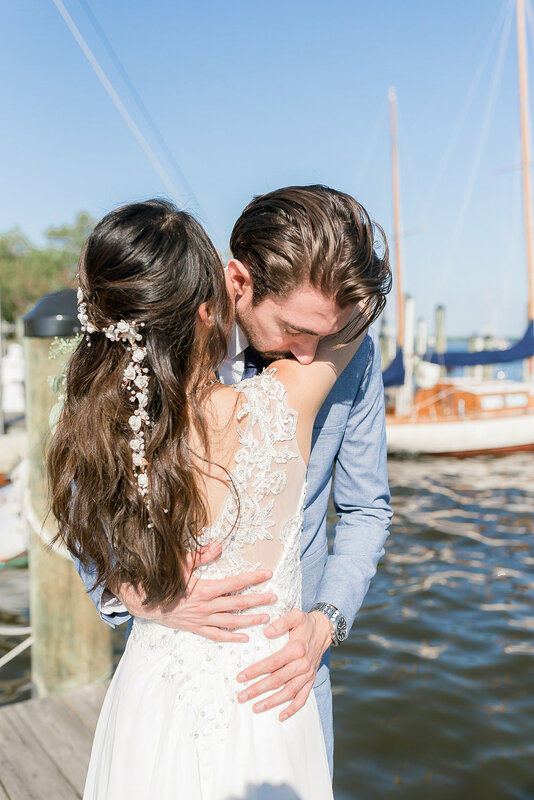 The weather literally could not be more perfect – low 80’s, low humidity, and with a gentle breeze – and we met at Downtown Annapolis for the bride & groom portraits. 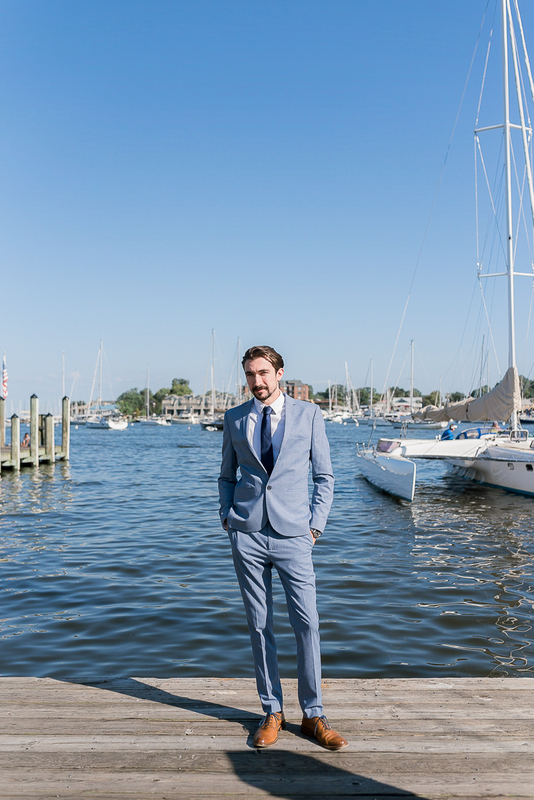 We stopped by the waterfront where many sailboats were docked, making the signature backdrop of Annapolis. 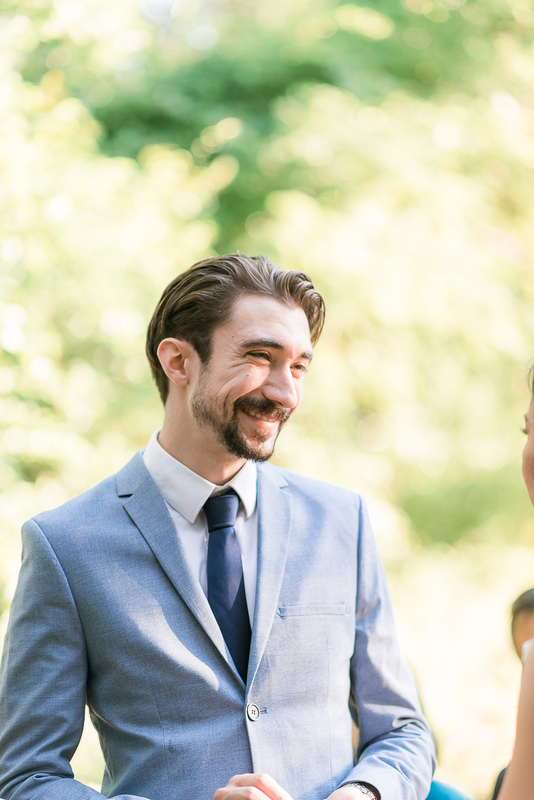 Michelle and Aaron lovingly gazed at each other, as they were retelling me the fun stories of their getting ready just a couple hours ago. Being the most chilled bride ever, Michelle apparently went to Trader Joe’s to get some of her favorite fresh flowers with Aaron and put together a lovely bouquet herself. She also did her mom’s makeup and hair on top of doing her own! Talk about talents! After stopping by the popular murals for a couple more shots, we headed over to the Annapolis Wedding Chapel. This quaint little venue fits in perfectly for the intimate wedding ceremony for these two. 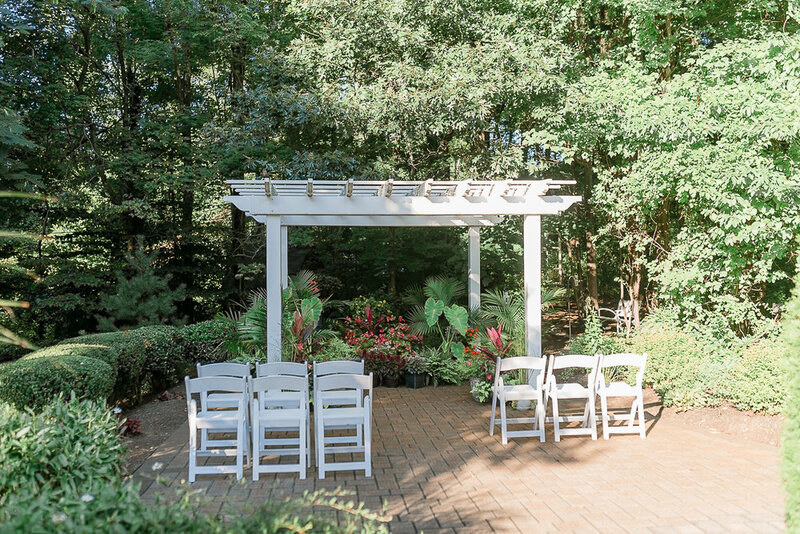 A patio area set up with white chairs and plenty of greens and bushes and everything was ready to go! Though it was a small and short ceremony, I saw many teary eyes as the couple saying their vow to each other, including Aaron himself. Good thing he prepared some tissues for Michelle in his pocket, but he probably didn’t expect to be using them himself! The wedding ended with family photos and some more bride & groom portraits at the venue, and the celebration continued with dinner at the Chart House afterward! Congratulations, Michelle and Aaron! It was an absolute pleasure and blessing to be part of your wedding day! I can’t wait to see what God has planned for you two as a married couple!